I was disappointed to see the end of Mitt Romney’s campaign for the Republican nomination as president of the United States of America. I personally believed that he would have made a most excellent president, especially at this time of economic insecurity, continual threats of terrorism and anti-American hatred, declining moral and family values, and out-of-control illegal immigration. I was even more dismayed trying to understand how a man of his caliber, character, values and integrity could not handily overcome the competition for the nomination. I should have clued in when hoards of conservative voters overlooked Romney and cast their vote for Mike Huckabee in state after southern state, especially when Huckabee has been liberal on raising taxes and illegal immigration. The pieces started to come together for me as I began to see and hear of those who would finally admit to and write about the anti-Mormon bias that had quietly been there all along. I could have never imagined.Mormons are some of the hardest-working, honorable, service-oriented, clean and moral-living people I’ve ever seen. I had to wonder if these voters had ever met or knew any Mormons personally. I am a Mormon. More accurately, I am an active, faithful, believing member of The Church of Jesus Christ of Latter-day Saints. I don’t speak for Mormons, but I do speak for myself. I love this country, and I am saddened that we have let slip through our fingers a man who could have cleaned up Washington, and done a top-to-bottom overhaul of a seriously-off-track government. I believe he would have been able to create an efficient and effective government that would have strengthened families, strengthened our military, and strengthened our economy. Instead, simple anti-Mormon bigotry has robbed us all. How this anti-Mormon bias has been allowed to continue into the 21st century, in this great nation is beyond me. No one would dare harbor, much less express, anti-African-American or anti-Jewish sentiment. But somehow Mormon bigotry is acceptable. Maybe Mormons are partly to blame. Mormons like me are busy spending their time helping in their kids’ classes, and trying to be good neighbors, spouses and parents. So they don’t make a habit of confronting people or making waves. But it seems to me that something like this anti-Mormon sentiment needs to be addressed. As long as Mormons remain silent on the matter then others will continue to define us, and anti-Mormon bias will continue unchecked. I for one, hope to see Mitt Romney come around again as a presidential candidate. So maybe by speaking out for Mormons and standing up to this needless bias now, we can change some hearts and minds, so that Romney won’t have to face an electorate that includes 50% of its population that has “reservations” or would be “very uncomfortable” with a Mormon president. This is just plain wrong and so un-American and un-Christian! As a Mormon marriage educator and advocate for stronger marriages I see a vital connection between politics and marriage. Marriage and the family is the bedrock of society. Mormons are well-known for being pro-marriage and pro-family for good reason. We believe marriages and families can last beyond this earth life into eternity. The state of our marriages and families has everything to do with the state of this nation and the world. As a marriage educator and Mitt Romney supporter I hope to share a small glimpse into the heart and soul of a believing Mormon in hopes of somehow contributing to the decrease of anti-Mormon sentiment. People don’t have to agree with me or my beliefs, but I do hope they will be able to respect them and maybe even find the good in a people that are being flatly rejected based on religious belief. Maybe I can share something that will cause even one person to re-think their bias against Mormons. I can only try. Marriage is no small thing in the Mormon church. Marriage is not just “until death do we part.” Marriage is forever. Marriage is the most important decision a person will ever make. Marriage is a divine covenant or promise of the highest order meant to refine every soul and bring people closer to perfection, as they prepare to return to their heavenly home. 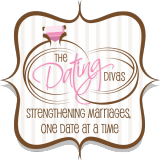 Marriage is no easy task, nor is it an endeavor to be taken lightly. 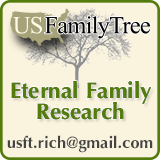 The eternal and spiritual basis upon which marriages and families are built, and upon which children are raised provides a huge protective foundation amidst the noise and confusion otherwise evident throughout the world. When marriage and family is forever there’s a whole different mindset that occurs. This is for keeps. This requires our best, never-ending effort. And it’s worth it. Mormons aren’t perfect when it comes to marriage, but on the whole, members of the LDS church (short for Latter-day Saints or The Church of Jesus Christ of Latter-day Saints) prepare for marriage, commit to one’s spouse in marriage, and covenant with God to make this relationship grow and sweeten and last forever–not just ’til death do we part. Honor, respect, fidelity, love, and the sacrifices of parenthood are taken seriously by those who understand and enter into this eternal covenant relationship. Mitt Romney’s fidelity to his one-and-only wife and his nearly 40 year marriage is but one of the fruits of the faith and lifestyle of members of The Church of Jesus Christ of Latter-day Saints. Don’t get me wrong. Mormons too are imperfect people and have plenty of struggling marriages, but I hope people will consider the potential strength and value of a Mormon, not only as a neighbor, but also as a president of the United States. I hope that by knowing or coming into contact with good LDS couples, that people will be willing to see them as a source of goodness, where they might not have been willing to see that before. I so appreciate knowing that my husband’s commitment to me, our marriage and our children is girded up not just by a wedding ceremony or certificate, but by his active commitment to God to keep His commandments and honor the covenants he has made to be loyal and loving and trustworthy. That’s a huge amount of personal and powerful insurance for me and our children to count on in our family. A beloved LDS author, speaker and marriage counselor, Lucile Johnson, shared an interesting experience she had sitting next to a well-known feminist leader on a long flight. The feminist leader was disparaging toward men, marriage and family in general. In the course of conversation, being ever-increasingly aware of their very different perspectives, the feminist leader confided that in all her travels she had found that Mormon men were the rare exception to her otherwise strongly held beliefs about men and marriage. Members of the LDS church for the most part don’t drink alcohol. They don’t smoke. They don’t gamble. They don’t do drugs. They have been taught to stay clear of all of the addictive substances and activities that would enslave their minds, bodies and souls. This provides us a lot of freedom from problems when you just don’t start down that path. That’s not to say that some don’t get caught in Satan’s snares sometimes. But for the most part wives and children can count on their husbands and daddies to be true. The clean-living lifestyle of members of the Mormon church allows for a degree of peace knowing that not only do wives not have to worry so much about husbands off on a business trip getting drunk, but they also have less reason to worry that their husbands will then make some real dumb decisions that will negatively affect the rest of their lives. 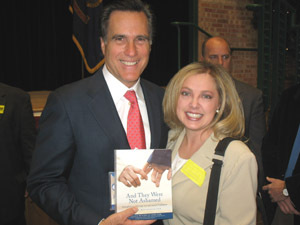 I’ll bet Ann Romney is grateful for her good Mormon husband. I bet she doesn’t have to wonder about her husband’s behavior when he is off on business. What a powerful protection and comfort that trust affords a marriage. LDS children are raised to believe in God, to believe in keeping His commandments as best they can and in being honest, true, chaste, benevolent and virtuous and in doing good to all men, not the least of which is to grow up and become a good husband, a good wife, a good mom, a good dad, and a good citizen. There are few problems in this world that cannot be solved by living the gospel of Jesus Christ and doing our best to keep our marriages and families strong. The temptations and addictions of the world hold less power for those who are reared in love by a mother and father who love each other and who love God. No one is perfect. But that is where the Savior steps in to make up for what we each lack. God is an active and interested party in every marriage and family. He wants couples to be happy and to learn and grow in marriage. He wants them to provide loving homes in which his precious children can be raised and taught how to live happy, righteous and productive lives. Maybe Mormon beliefs are just too strange for some people to grasp. Maybe people just haven’t taken the time to understand those beliefs, not that anybody has to. But if, for instance, you believe that there was a period of apostasy and falling away from Christ’s church throughout the “dark ages” where plain and precious parts of the gospel were lost, changed or distorted, then it wouldn’t be so hard to believe that Heavenly Father and his son Jesus Christ would want to come down to earth to restore or reorganize their church. And because so many people had developed an incorrect understanding of God the Father and his son, Jesus Christ it may not be so difficult to acknowledge that they might take the opportunity to both come down to earth to answer the petition of a young boy who wanted to know which church he should join. On the subject of polygamy, those in the early Mormon church who practiced it believed they were doing what God had asked of them. Whether God’s intent was to provide a refiner’s fire at the time, and ask such a sacrifice, or to raise up a posterity unto Himself as He had done in biblical times, I do not know. But for people to continue to define this church by a practice that was discontinued over 100 years ago is simply unconscionable. People seem to have a problem with the underclothing that we wear. Catholic priests and nuns wear clothing to represent their religion and religious beliefs. Observing Jews wear tefillin (phylacteries) during prayer to remind them of their covenants with God, and so too do many Mormons wear what we consider sacred undergarments to remind us of our covenants with God, and to help us keep His commandments. It may seem strange to those who are unfamiliar with such beliefs or practices, but should in no way disqualify anyone from being considered for a public office. There is no religious test for those who serve in public office. The health and wellness of a marriage and family is the best gauge of the health and wellness of a country and a world. It all begins in the home. Nearly every social ill from poverty to delinquency to gang activity is a result of the home and family. There are huge political and societal costs associated with the breakdown of individuals and families. There is an ideal pattern set forth by God that marriage is between a man and a woman. Marriage is ordained of God, and children are entitled to be reared by a father and mother who love and honor each other. Some would argue that that ideal is not a reality for so many people. That may be true, but it is all the more reason to teach and work from an ideal family pattern. Without an ideal to start from marital and familial deviances grow bigger and bigger throughout the generations until marriage and family become unrecognizable, and the divinely ordained purposes and benefits are lost. Children need to know what good, strong marriages and families look like, so that they will be able to do their best to recreate it in their own lives. We all fall short in some ways, but we all have a responsibility to provide an admirable example for others to follow. I hope no one has misunderstood what I have been trying to do and say. I’m not saying that Mormons are perfect, or that I would vote for someone just because they were a Mormon. But I do want to say that we have lost out on a great leader due to an unnecessary bias against members of The Church of Jesus Christ of Latter-day Saints. I hope I have provided some small insight into the personal heart and soul of a faithful member of the Mormon church in hopes of beginning to change the hearts and minds of those who might currently consider Mormons to be unworthy of their consideration. As a Mormon who is also passionate about strengthening marriages, I also hope I have created a connection in your mind between the state of our marriages and the state of our nation. I hope you can see more clearly how the Mormon lifestyle and belief in eternal marriage and forever families creates a sure foundation for a stronger society. I do not imply that Mormons have perfect marriages or families, but that the spiritual and doctrinal foundation they have is nothing but a positive benefit to our society. I honor and applaud Mitt Romney and his wife and family for their huge sacrifices on behalf of this country. Many were able to see their goodness and the positive leadership they would have provided. I only wish more people would have removed their blinders and been able to see the light Mitt Romney was attempting to offer. I truly appreciate these comments. They brought me to tears and I too wish people could’ve seen all the good Mitt Romney could’ve brought the individuals of the United States. Thank you Laura. Thanks for your comments. I feel bad that Mitt was not able to continue his campaign. I also feel that strong marriages and families can solve many of our country’s problems.